Sure it's had a facelift but that iconic look still remains, leaving you in no doubt as to the brand, likewise the quality of the images. 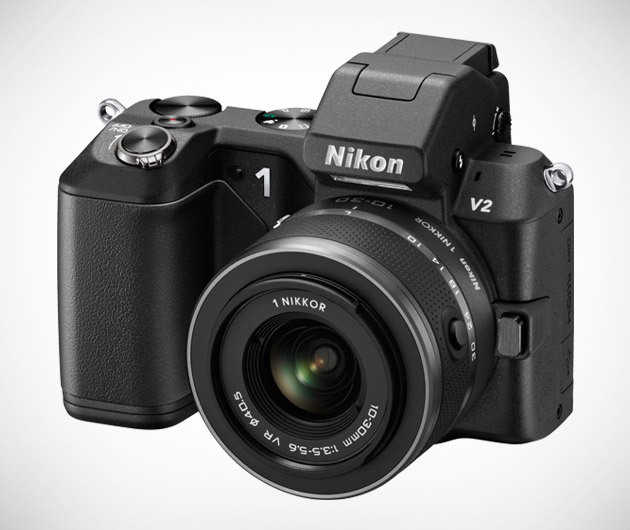 The Nikon 1 V2 Camera boasts 14.2 megapixels, an in-built flash and 1080P video recording. Other features include a Slow View Mode, Smart Photo Selector and an advanced movie mode, and of course that familiar side grip is still there for optimum control and stability when taking those snaps.